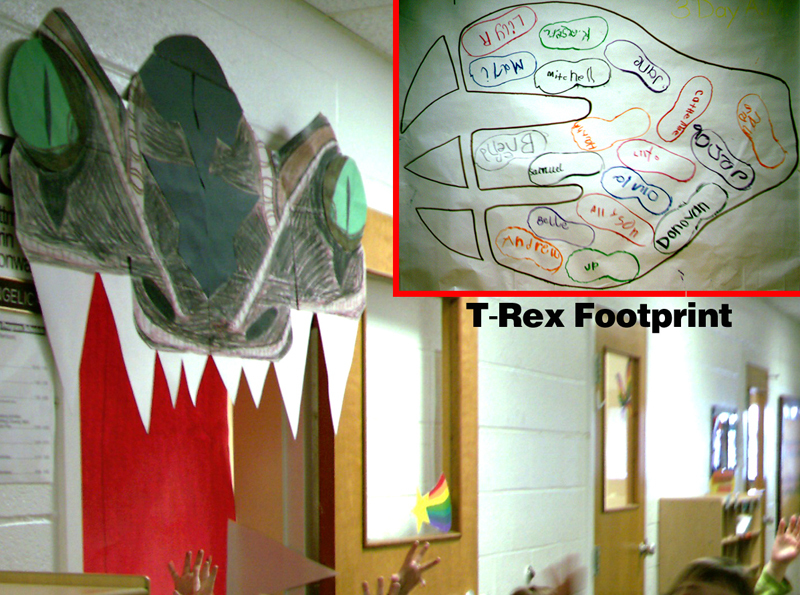 Above is a T-Rex footprint graph and scary doorway my class created. Kids get to see their feet in comparison to the actual size of T-Rex's. See if your class can fill up his gigantic footprint!